Hearing loss is gradual. And people's susceptibility to permanent hearing loss depends on several factors including their own genetics, the background noise they are exposed to and how loud they are listening to music, according to Lin. Experts don’t yet have an exact calculation as to how loud, for how long, is too much. But researchers do know that the louder the noise, the less time it takes to cause damage to your hearing. Remember this number: 115 decibels (dB). That’s how loud the average MP3 player is playing music at maximum volume. According to the American Academy of Otolaryngology, listening to an MP3 player at 100db for just 15 minutes can cause hearing loss. Also, music at 85dB for prolonged, repeated times can cause damage. “What’s important to remember is that once the hair cells in your ear have been damaged, your body can’t replace them. It’s permanent hearing damage,” says Lin, whose research is the first comprehensive national estimate of hearing loss in the United States. So for those who want to try to keep from joining the one in five Americans with hearing loss, turn the volume down a notch and choose headphones that rest on the ear, versus ear buds that sit in the entrance of the ear canal. And a good rule of thumb for parents: If you can hear your kid's music through their headphones, it’s probably too loud. My 18-month-old failed his newborn hearing screening 3 times in the hospital. They chalked it up to fluid and just had me follow up with more testing. The first audiologist he saw said he detected fluid. My pediatrician wasn't satisfied with that answer because she didn't see any fluid. So...off to another audiologist for an ABR (measures the response of the nerve to sound). The ABR indicated he had mild-to-moderate hearing loss in both ears. I was absolutely devastated. Went to a 2nd audiologist for another opinion, and she too did an ABR under anesthesia which showed moderate-to-moderately severe hearing loss. Sensorineural hearing loss...IRREVERSIBLE. Again, I was devastated. At the time of the 2nd test, he was 5 months old. We got his hearing aids a month later, and he wore them up until last March. I didn't believe he had hearing loss. I kept the hearing aids on him consistently, but whenever they were off he would always respond to things they said he couldn't hear. I kept pushing. In March we had a third ABR under anesthesia because they started detecting fluid in his ears with the simple office tympanogram that they do each time to check the pressure in the ear. The ABR came back SLIGHTLY abnormal after having his ear drums cut open to insert tubes. The explanation for it being a little abnormal was possible swelling from the surgery. Did some booth testing to test his hearing in an actual sound booth to see what he would turn to, etc., and he scored normal hearing for one ear and possible slight loss for the other. I'm confident that he was just not interested by the time they tested him in that area since we had been waiting for over an hour at the office, but if he does have a slight loss in one ear, I think it's from hearing aids blaring into his ears for 6 months! It's been 8 months since he last wore his aids, and he is doing very well. Talking up a storm and says all kinds of words! The point I'm trying to make is that the "gold standard" tests are not always right, and if you have an instinct that says your child is hearing normally, please listen to it. There have been 2 more families experience the same thing in my area recently. That's not just a fluke. I would like to suggest a topic for an article: The cost of not covering hearing aids! A child with even a sever hearing loss who is placed in hearing aids within the first 18 months a life is indistinguishable from a child with normal hearing by age six. Such a child may attend traditional public school with few if any adaptational devices needed. The cost for the hearing aids to age 18 and minimum speech therapy until age 6 is around $30,000 or less. However, if a child is *not* placed in hearing aids, that child will require adaptational aids including tutors, extensive (and often unhelpful) speech therapy, hand held captioning devices, etc. These children often can't attend public school, meaning the state must cover or help cover the cost of a school for the deaf and hard of hearing. The price tag for this avenue can exceed one million dollars. With that in mind, would it not make vast economic sense to provide hearing aids to all children who need them at no cost? The states would more than be able to cover the cost of such a program from the savings alone. So why isn't it done in all states instead of less than a dozen? Because once upon a time hearing aids were not that effective. But they have improved so dramatically over the past 30 years that we need to rethink coverage for them and mandate it. No one would ever suggest not providing wheelchairs or braces to a person with cerebral palsy. Likewise, no person with a hearing loss should be unable to obtain a hearing aid due to cost or lack of coverage. Just remember the wehigt loss benefits of green tea are often exaggarated. And as I mentioned in the video, you'll need to drink several cups per day (9+) to achieve any wehigt loss benefits. By all mean consume as much green tea as you can stomach (literally) but do it for its overall health benefits NOT for its wehigt loss benefits. Hearing loss is a serious healyh issue as reported above.My husband has hearing loss and the TERRIBLE thing is our health care in this country doesn't pay for hearing aids! THATS CRAZY. HEALTH CARE SHOULD COVER HEARING AIDS GLASSES AND DENTAL ALL OF WHICH HAVE TO DO WITH YOUR HEALTH.I GUESS AS LONG AS YOU LOOK HEALTHY YOUR HEARING,SITE AND ORAL HEALTH DON'T MATTER. HEARING AIDS ALONE CAN COST $7000.00. NEEDLESS TO SAY WE CAN'T AFFORD IT SO MY HUSBAND HAS TO SUFFER BECAUSE OF THAT.OUR COUNTRY NEEDS TO STOP WORRYING ABOUT EVERYWHERE ELSE IN THE WORLD AND START WORRY ABOUT OUR OWN COUNTRY,THEN AND ONLY THEN SHOULD WE BE GIVING OTHER COUNTRIES MONEY.THEY SURE MISS THE CLASSES ABOUT MANAGING A BUDGET.WORRY ABOUT US WE ARE THE ONES PAYING FOR ALL THESE WARS AND HELPING OTHER COUNTRIES AND WE ARE THE ONES WHO ARE SUFFERING BECAUSE OF IT !! i feel your pain-we need to get insurance to help with hearing aids!!!!! anyway try your local Division of Vocational Rehabilitation–if you are low income, seniors-they might help you with some of the cost of hearing aid. My mom got help from a national organization that helps low income people/seniors with the cost of hearing aids. I cannot remember the name of it–please google "help with hearing aid costs" or something like that and see what comes up. My mom got 2 nice hearings aids for a total of $2000.00–about half of the cost. also gets batteries for very low price from the hearing aid company. Hope this helps. i am a late deaf adult-lost hearing around age 20-wore aids for years and now have a cochlear implant–you might want to check if your insurance would help with the cost of a cochlear implant-also google cochlear implant and research. The insurance helped me alot with this-you have to be pretty much profoundly deaf to qualify for this so the insurance would require a hearing test-then go from there. 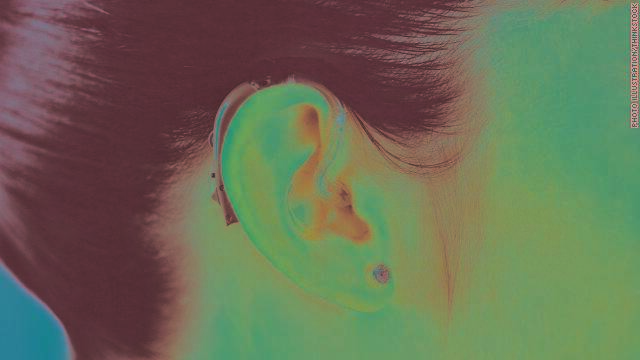 the cochlear implant is my lifeline to the world!!! good luck!!! The money has to come from somewhere, are you going to pay? If more is paid out premiums have to increase, if it's socialist society like we are becoming then taxes will go up. Until there is proof, this is just a lie and innuendo. You don\'t screw arnoud with this type of lie. You would destroy a whole family with this kind of nonsense. 0bama is doing a good job of bringing himself down, so until there is solid proof, the media is being responsible. The people only have a right to the TRUTH. Nothing else. I DON'T KNOW IF YOU ARE TALKING TO ME BUT THERE ISN'T ANYTHING ABOUT RACISM ON MY POST AND THERE NEVER WILL BE. As a retired service member that lost a lot of hearing, hearing aids really are items that need to be covered by insurance. It is amazing the difference in quality of life by having the hearing aids. Children and parents need to heed the warnings and do all we can to protect the hearing of the future generation. Hearing loss not only effects the person that lost the hearing but everyone around them. Contact your lawmakers about getting hearing aids covered by insurance. Jeff. That was a stupid comment. No. AIDS is the result of ienfction by a virus called HIV. The virus has to pass from the body fluids of someone already infected to someone else.Mixing blood that doesn't already have HIV won't create the virus. However if someone has HIV in their blood and a small amount of their blood is able to enter your bloodstream, HIV can get into your body that way.It's important to remember that not everyone who has HIV in their body knows they have it. Lauren, your baby should have had an ABR with air and bone conduction transducers, and a high frequency probe tone ABR. These measures would have been able to identify the true nature and extent of the problem. Sounds like the ABR was done only by air conduction, although other technical factors could impact results (like poor bone conduction placement, bone conduction transducer failure, etc.). I meant his threshold was 25 or 30. It really makes no sense! I have sent a semi long summary of all of his tests and results to several top audiologists, including Jane Madell, but she wanted to be paid to look at his ABR tracings, which was fine, but I found someone with a hearing loss study to look over his papers...she was stumped. If you want to be stumped as well, feel free to email me at lauren.bedell@gmail.com, and I will send you his summary. Lauren, has anyone ever evaluated your baby for auditory neuropathy spectrum disorder? Hopefully one of the several audiologists that your child saw thought to look for evidence of ANSD during an ABR, but maybe they did not as they were more focused on determining thresholds. ANSD can cause children to have auditory thresholds which fluctuate and often don't make sense. OAE testing, which is simple and requires no participation on your child's part besides sitting quietly with a probe tip in their ear, could help to rule out ANSD. You said you have send your son's information to several well-known audiologists, so perhaps you could approach Chuck Berlin down in Florida (if you haven't done so already) and see if he has any ideas about your son's case. He was one of the lead researches regarding ANSD before he retired. Sorry, typed ABR instead of high frequency probe tone immittance test (tympanograms). Sadly, when you ask restaurants to turn down the music they look at you like you have two heads. More people need to complain where you spend your money. I prefer to be deaf. Quit acting like we suffer or it needs to be fixed. Capitalist profiteers who sell hearing aids make it seem like we need to change to fit into hearing society. Audism can only end when we teach sign language to all. You are not forced to buy those capitalistic goods. Spend your money on a good education instead. Learn the value of free enterprise. Why in the world should these little bits of plastic cost thousands of dollars? None of the so-called hearing aid organizations ever evaluate the different brands, nor does Consumer Reports, which monthly publishes reviews of cars costing thousands of dollars. But there is more to be said. Seniors don't go to public meetings. And when I've asked other seniors why they don't attend, and could it be because they don't hear what's being said, invariably the response is, "I've never thought about it before, but you are right." What a loss to the democratic process! Hi there,I'm not a girl. But as a guy, I would encourage you not to think of ppleoe (girls included) judging you on the basis of your disability. I know of a blind guy who won over a beautiful girl, who he is now married to! I believe that it is your personality; not your disabilities that counts.I hope this helps. hello there and thank you for your information – I’ve celintary picked up something new from right here. I did however expertise several technical points using this website, since I experienced to reload the web site many times previous to I could get it to load properly. I had been wondering if your web hosting is OK? Not that I'm complaining, but sluggish loading instances times will sometimes affect your placement in google and can damage your quality score if advertising and marketing with Adwords. Well I am adding this RSS to my email and can look out for much more of your respective fascinating content. Ensure that you update this again soon.. I never feel that mp3 player manufactures do enough to prevent hearing loss. There is never any warning that music is too loud, nor is it clear what DB the music is playing at. Informative pieces like this seem to be the only way to educate people of the dangers of listening to loud music for prolonged period of times.